The following books and websites are some that I often recommend for further information. Please be advised that information provided here is not a substitute for appropriate medical or mental health treatment or evaluation. 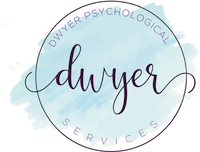 By clicking on any links on this page, you will be navigating away from Dr. Dwyer’s website. While efforts are made to ensure the integrity of the material that is linked to, we are not responsible for their content.